This last part has a lot of random things just like that last 2 parts, but there's a good amount of art featured in this post. 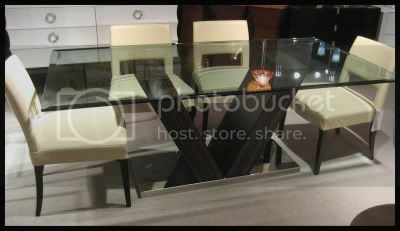 Dining table from The Designer Group with an awesome asymmetrical base. 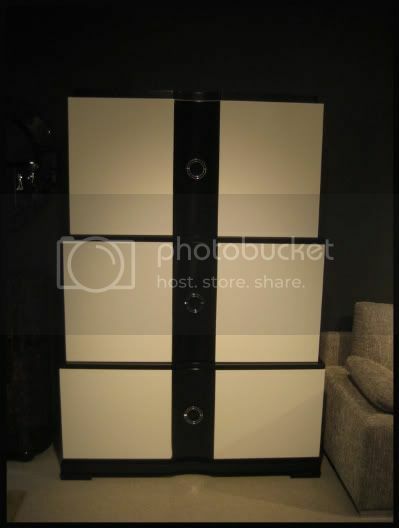 There were a bunch of different pieces like these at the TRA Art Group showroom. That's a monitor screen in the middle. 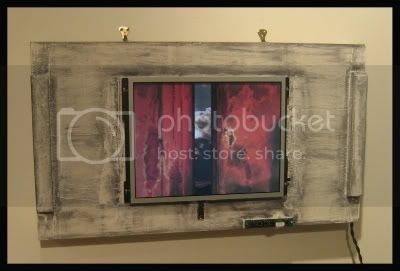 I'm not in love with the idea of having to plug in a piece of art, but it's still a cool idea - and reminded me of being at Tate Modern in London. 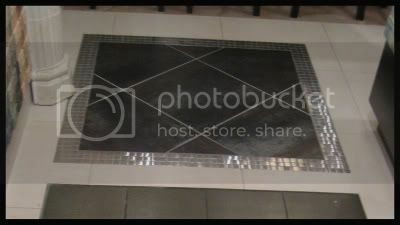 A little piece of flooring from Beaver Tile & Stone. It's a leather tile surrounded by what is probably a metal alloy tile. 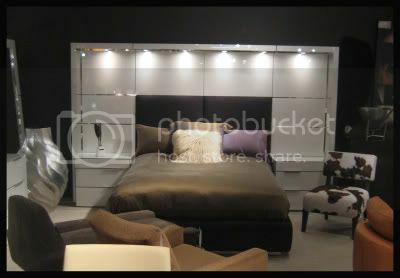 And one last sweet bed from The Designer Group! It's the white version of the first bed in Part I. The iridescent bedding added a unique touch and I also really like that cowhide chair. So, that's about it for my trip to the Michigan Design Center. I hope I was able to show some pieces that maybe you haven't seen yet and also introduce you to some awesome companies/manufacturers. 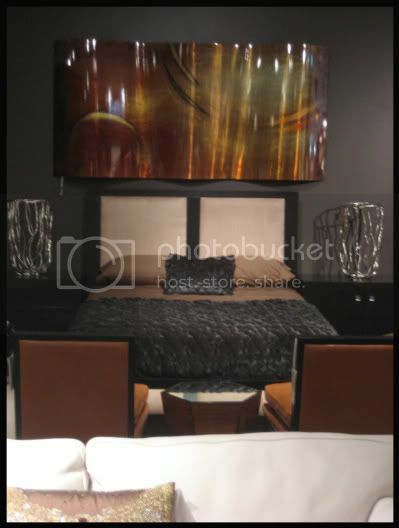 wow, love that copper piece above the bed, i love using metal in designing. love the use of texture. 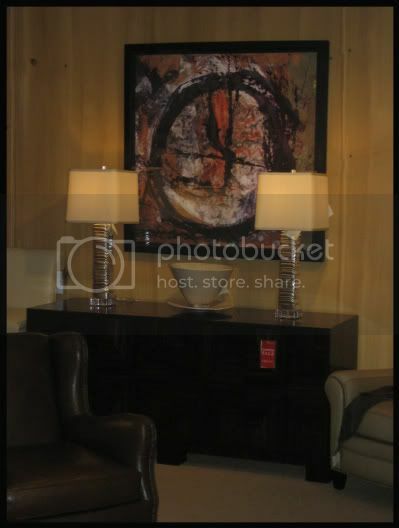 i have a feeling that you will love blending pieces of art in spaces just as much as furniture and lighting? you are very talented i'm sure! Some great spaces here! The colors remind me a bit of my parent's house in the 70s (that's a compliment - love the era!). And those paintings are a nice touch, esp. the extreme close-up of the face! Love your idea of being the White Stripes for Halloween - hope you and the BF have lots of fun! I love the art piece! Great pics....lots of fun finds! 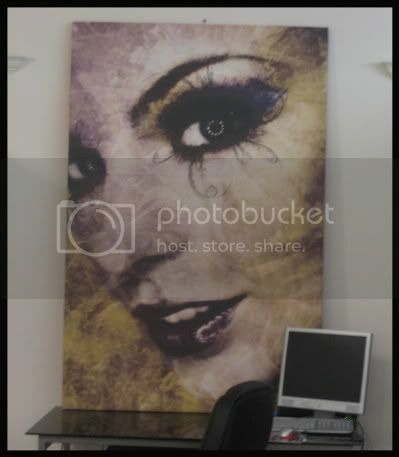 I love going to new design centers for inspiration. Thanks for sharing!